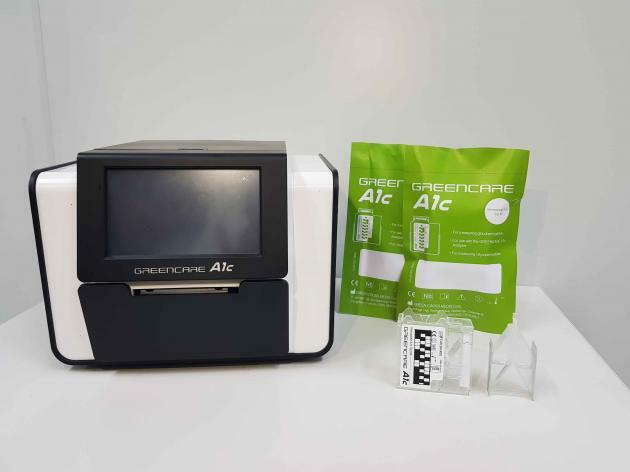 GC MS, a company specializing in diagnostic reagents and medical devices, has signed an original equipment manufacturer contract to supply “Greencare A1c,” a fully automated glycated hemoglobin (HbA1c) monitoring system, to Diasys India. Diasys India is a subsidiary of Diasys, a global in-vitro diagnostic medical device company headquartered in Germany. The system, unlike the personal blood glucose meter, can identify the glycated hemoglobin, which is an essential indicator of diabetes management and can accurately grasp the status of diabetic patients without being affected by the external environment such as eating. The system has also received certification from the National Glycohemoglobin Standardization Program (NGSP) and the International Federation of Clinical Chemistry and Laboratory Medicine (IFCC). Under the accord, GC MS will supply 13.3 billion won ($11.9 million) worth of Greencare A1c to Diasys India for four years. With the contract, the company has successfully entered the market that has the second biggest diabetes population in the world. According to the International Diabetes Federation (IDF), there are about 73 million people among Indians aged between 20 and 79 diagnosed with diabetes. "The global market is expected to grow steadily in line with the increasing demand for diabetes and the need to test for HbA1c," GC MS CEO of Ahn Eun-uk said. "We believe that business diversification, such as this contract, will continue."